Burnley’s youth team will be looking to draw level on points with leaders Blackpool this afternoon when we play our away game against bottom of the league Wrexham. The young Clarets go into the game on 50 points, three behind Blackpool although a win would not see us take first place with us having a vastly inferior goal difference. Wrexham are bottom with just two wins all season to add to eight draws, and one of those draws came against us at Gawthorpe in December. with the game ending 0-0. 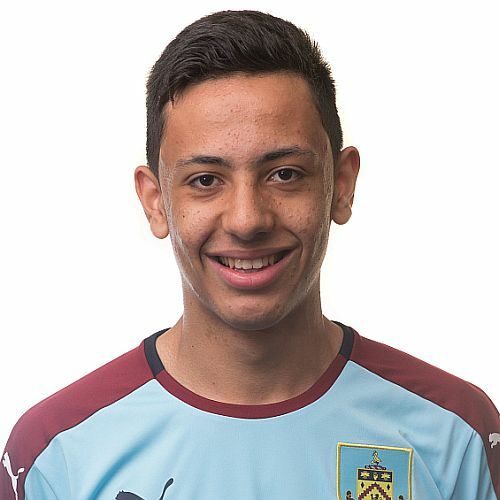 That was an improvement on last season when we lost the home game 3-0 having been beaten 6-1 away with Dwight McNeil (pictured) scoring our goal. The last occasion we beat Wrexham was on 1st November 2014 when two Josh Dolling goals and one each from Brad Jackson and Christian Hill gave us a 4-1 away win although Wrexham went on to beat us 4-3 in our home game. Wrexham were, for a while, a very strong team at this level and it was only four years ago that they won the league. But they’ve slipped in recent years. Last season they were fourth from bottom and this season they’ve been bottom, other than for a couple of weeks, all season. Kick off is 1 p.m. and today also sees Rochdale and Walsall in action as they too play their game in hand on the leaders.